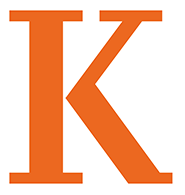 Kalamazoo College operates its own non-deputized campus safety program. Campus Safety personnel therefore have no arrest powers. Campus Safety personnel, under the Director of Campus Safety, regularly patrol the campus 24 hours a day, every day of the year. Campus Safety will respond to all requests for service and attend to situations around the campus that affect the security of residents and visitors. Find more information on what we are all about here. The College administration has increased exterior lighting, added outdoors emergency phones and trimmed shrubbery to make our environment safer. Although these improvements and the presence of security patrols greatly increase campus security, safety must always be of personal concern to members of the College community. The Campus Safety department requests that criminal acts and unusual or suspicious activity that occurs on college property be reported immediately (7321). The Campus Safety department has established a close working relationship with the local public safety department. Campus Safety conducts most of the preliminary investigations on nonviolent type criminal offenses. These criminal offenses are forwarded to the local public safety department for further action. The College has no off-campus housing or student organizations to monitor. The College Student Conduct Hearing Panel acts on alleged violations of College policy and may also take action on a criminal offense (see Student Conduct Code). Campus Safety will request immediate response from the public safety department on crimes in progress, crimes against a person and medical emergencies. Emergency response requests to college campus can be accomplished by contacting Campus Safety (7321) or the Kalamazoo Department of Public Safety (9-911). An Active Shooter situation is very dynamic in nature and the decisions of what to do lie with you. The attached link from the US Department of Homeland Security provides some important and useful information should you be confronted with an active shooter situation. is located in Hicks Student Center, upper level east, room 138.